Online casino live dealer games are a popular choice for players, these table games bring the real-life casino action straight to your screen. You can go up against the dealer in blackjack, spin the roulette wheel or hit the baccarat table. These table games live stream the action in real time so you can enjoy realistic casino entertainment without having to leave the sofa. These games are streamed directly from a studio that looks just like a real Las Vegas casino, providing an immersive live gaming experience. The main difference between hitting the tables at an online live dealer casino and sitting at an actual casino table in a brick and mortar casino is the social aspect. The atmosphere is obviously not the same but that’s a good thing, you may not want to hear the ambient sounds of chiming slots, loud drunks and table conversation or maybe you prefer the Vegas-style casino experience. I’m sure we all do from time to time! But it’s nice to play in comfort, without having to put on a pair of shoes. Many live table games have a live chat feature where you can interact with the dealer and the other online players sitting at your table. Aside from the possibility of chatting to your friendly dealer, you can also pick from different casino views, lighting and customise your live table play. The table games also display the previous results of the game so you can pick you next bet accordingly. PlayOJO.com offers over 50 live dealer table games and hosts games from three of the top live casino providers such as NetEnt, Evolution Gaming and Xtreme. The friendly dealers are ready to welcome you to the tables and there are plenty of variations to pick from including Live Blackjack Pro, Live Common Draw Blackjack Low Roller, Live French Roulette, Live Roulette La Partage, Live Blackjack and many more. You can enjoy your table games in a casino, a VIP setting or in a huge mansion. 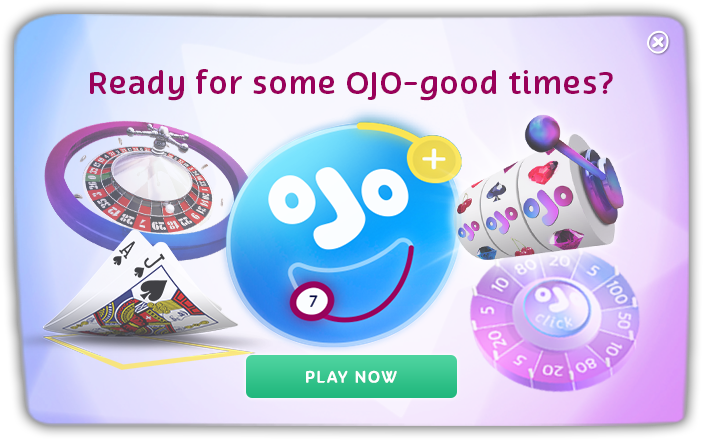 You can also pick from a number of languages too – PlayOJO’s live casino has it all! Live casino play is a lot of fun and takes you right into the middle of the action. You, the dealer, the other players, it all makes for a very thrilling experience. So, what game do you play? Roulette – This table favourite is probably the most famous casino game. It’s a game with no skill and all luck, all you need to do is place chips on the numbers/colours you think the ball will land on. When it comes to picking the type of Roulette table, French or European Roulette are a better choice as these games have a higher return to player percentage than American Roulette. The difference between these roulette tables is the wheel having more or less numbers. Roulette Tip: Remember the gamblers fallacy, just because red has hit twenty times in a row, doesn’t mean that black has a better chance of landing next! Blackjack: This is the ultimate card game and often the go-to choice for many players. Blackjack allows the player to logically beat the dealer and win, but it does require skill. The aim is to get as close to 21 as possible without going over and beating the dealer’s cards. There are a lot of blackjack games available, make sure you pick one where the dealer has to stick on 17. Pick a table with the best return to player percentage so you’re playing the most advantageous option. Blackjack Tip: Learn the Blackjack strategy so you can improve your chances of beating the dealer and don’t be fooled into getting insurance, learn the strategy and you’ll know why! Baccarat: This is another casino game that is very much based on luck rather than skill. This game requires you to pick between three outcomes: whether the dealer wins, whether the player wins or whether it’s going to be a draw. The winner is the one who has 8 or 9 card points. Baccarat Tip: Avoid making the ‘tie’ bet and keep in mind that the banker is usually the best bet. PlayOJO.com is the only online casino that gives you money back on every bet on all games and that includes live dealer games with a low house edge. So, if you’re going to play live table games then why not get money back on each bet, whether it’s win or lose? You can find out more about OJOplus here, this exclusive feature comes with no restrictions, whatever money back you earn can be played or withdrawn at any time! Good luck!